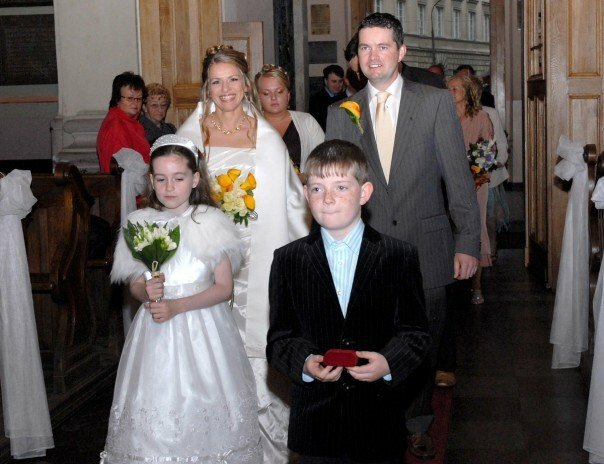 In most European countries, the father of the bride will walk her to the door of the church, where the groom is waiting for her. Then the bride and groom together will walk up the aisle. You may even see the groom will go to the bride’s house and together they will walk to the church with their wedding guests following them.